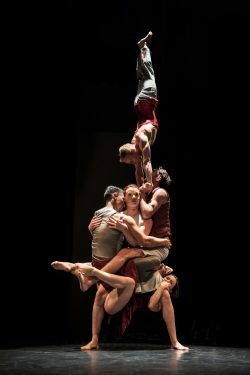 THE Australian Casus Circus comes to Strode Theatre in Street at 6.30pm on Friday 22nd June to perform Drift­wood after its debut performances in London. Regarded as the hottest contemporary circus company in Australia and based in Brisbane, Casus Circus takes circus arts to a new level. Performances incorporate choreography, acrobatics, trapeze and aerial stunts, involving skill, strength and bravery of t performers who test the limits of the human body. Posted in Circus, The Play's the Thing on 14 June, 2018 .